eCup Rapid Drug Testing | Justifacts Credential Verification, Inc. 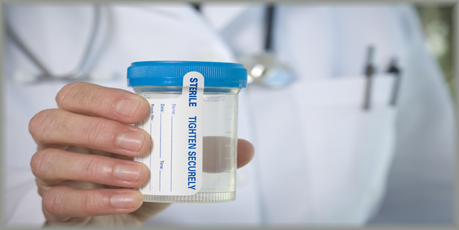 The eCup Rapid Drug Testing is a patented 5-panel urine collection device, designed for fast, under-seal testing. This device is a “smart cup” which requires no human intervention or interpretation, eliminating the chance for human error inherent in other instant test products. eCup’s lid contains several embedded test strips that are sensitive to the SAMHSA (Substance Abuse and Mental Health Services Administration) cutoff levels for each of the 5 drugs being tested. The eCup is placed in an eReader device where the test strips are digitally screened for the presence or absence of Cannabinoids, Cocaine, Methamphetamines, Opiates, and Phencyclidines. Why should I try eCup? There is little chance for human error with the eCup. It is a completely self-contained unit, which does not require a clinician to pour the specimen into any other container. The eCup provides a quick turnaround time. Negative test results are available within 15 minutes of test completion. Justifacts’ partnership with eScreen provides access to more than 2,600 testing sites that are equipped with eCup and the eReader technology. Tests are scheduled electronically and information sent via email to the donor. Test results are electronically integrated with your complete background check report. Justifacts is fully integrated with eScreen and its products, including eCup. Even more, we are happy to discuss any further questions you have regarding eCup. Find out how to integrate your 5-panel drug test with your Justifacts background check report by giving us a call at (800) 356-6885 or email us at sales@justifacts.com.